I tell many of the newcomers to the hobby that treasure hunting is like "land fishing". Now if you have ever been fishing, you know that while "luck" is part of the process, success is based on research work. Whoa! Am I telling you that, you may have to actually spend some investigative time to be successful, YES! You will be "digging into history". Much like an Archeologist, you need to take great care to preserve the digging site. First of course, is to gain permission by the owner of the property you want to hunt at. Some people will simply refuse you. You MUST respect that decision. Others will be suspicious of your motives. Honesty is the best policy. State your intentions, and agree to terms that you can abide by. Quite often the property owner´s will want to know what you find, and want certain items. This is perfectly acceptable, after all, it´s their property. Some people are interested in memorabilia, some are interested in coins. Either way, the discovered items are always of interest. My youngest son and I had an interesting example of this recently. 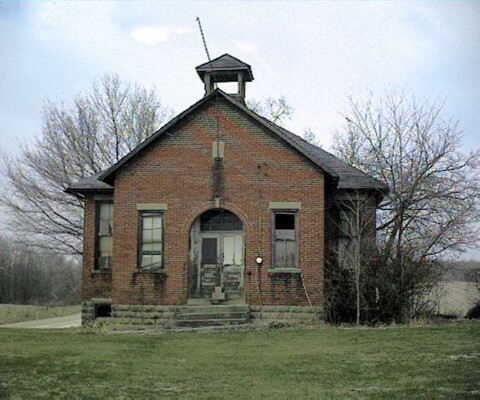 Indiana had a network of one room schoolhouses that were built anywhere from 1880 to 1920. Some were in operation until the 1950´s. Generally, the schools were placed a few miles apart. They eventually closed, and the buildings and land restored to the farm that they had come out of. We happened on to one of the old buildings, and went to the farmhouse to seek permission. The owner told us "that building has been gone over a thousand times!" We told him we were using some "state of the art equipment," and I offered him the metal detector to hold. The owner who was 75 years old swung the coil back and forth and "beep" the detector went off. We were standing about three feet from his back stairs. "What´s down there? ", he asked. I had no clue, "We´ll have to dig a little to see." About 14 inches down, we pulled a closed cast horseshoe out of the ground. A closed horseshoe is very rare (they were used on horses that plowed in peat moss to keep from sinking). "I´ve lived in this house for 75 years, probably stepped on this spot 50,000 times". He was excited over his find. He asked me "Can I keep it?" Of course, it was his property. Next, we walked several hundred feet to check out the old schoolhouse. The owner said "You´re standing on homeplate!" "I am?" "Yep, there is first base, second ....", and so on. So here was a rare exception, a first hand account. I asked him where he and his classmates ate lunch on nice days. He pointed to a spot where an oak tree once stood. Two minutes later, I plucked an 1883 Indian Head penny out of the ground. You could clearly read "Liberty" on the Indian´s headband. This is a very nice coin. The owner said "I guess those other guys should have asked me about the place." He told me to keep the coin. It was a pretty good day. Another aspect of treasure hunting is to be VERY AWARE OF THE LAWS regarding your activity. Just being thought of as rude, may not be the only penalty that you could endure. In some states, you can lose your detection equipment, receive a fine, or worse. It is absolutely your responsibility to know and abide by the law. On that cheery note....be smart!